Listen. 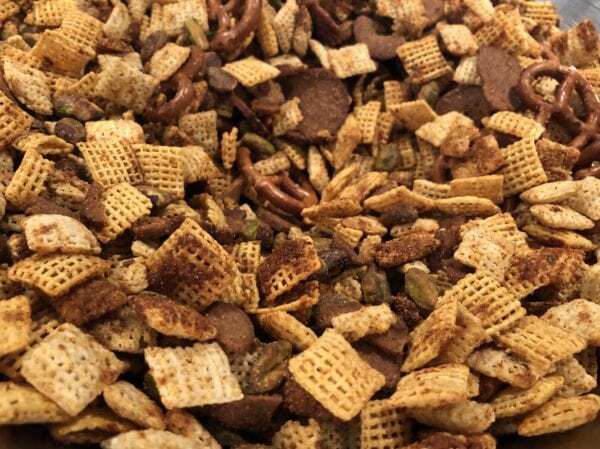 Chex Mix is amazing. It’s my toddler’s favorite food after all. So when I was dared that you can’t make Chex Mix in my Ninja Foodi? Well, you know what happened next. Side note; this is far crispier and quicker than the traditional oven method too; win-win-win. Heat your instapot to 250 degrees. Melt butter in microwave for 30 seconds. Once melted, add spices and Worcestershire Sauce to butter, then combine everything else in the instapot. Stir gently but thoroughly. Bake for 30 minutes, stirring every 10 minutes. Let cool for 30 minutes before serving.